Portland had been incorporated for two years in 1853 when W.S. 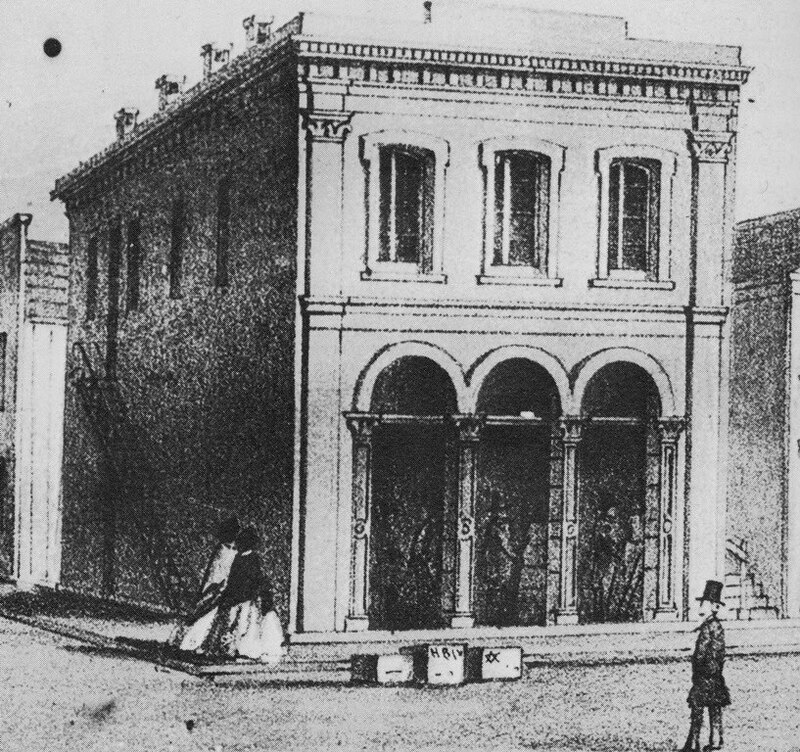 Ladd commissioned Absalom Hallock to design a brick building on Front street, between Washington and Stark. The use of brick added a sense of permanence to the cluster of white-washed wooden, frame and false-fronted buildings rising between the river and the towering fir trees. It was a vote of confidence for Portland's long term prospects. Absalom Hallock arrived two years earlier. He went into business as an architect, the city's first, on July 21 1851. A year after the Ladd commission he began to incorporate cast-iron into the buildings he designed, which encouraged a modular construction of repetitive elements and tall entryways and windows to let in light. At the same time Hallock became the Portland representative of the Phoenix Iron Works of San Francisco. His own building, in partnership with contractor William McMillan, was constructed on the northwest corner of Front and Oak in 1857. 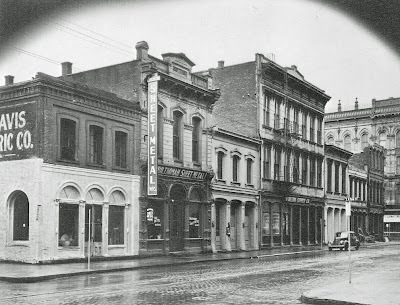 Minor White photograph of the corner of Front and Oak, circa 1939, shortly before the remodel that would radically alter the Hallock and McMillan building. 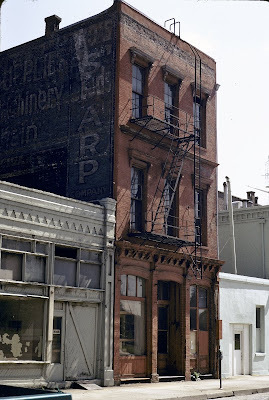 The neighboring Fechheimer building (1885, existent) is followed by the Snow building, likely designed by Hallock, torn down shortly after the photograph was taken. The last building on the block appears to be in the process of being demolished. 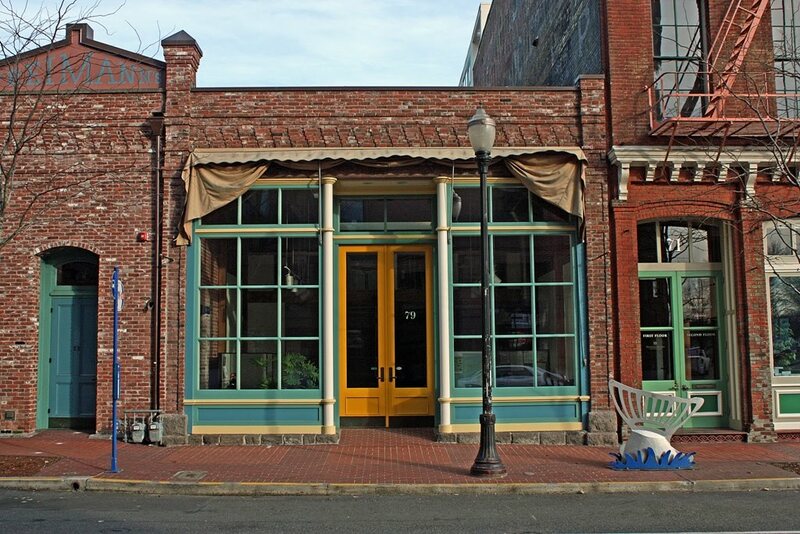 The Hallock and McMillan building is the oldest commercial structure in Portland. In its one hundred fifty four years, it has survived numerous floods and spared the reach of the Great Fire of 1872. The Harbor Drive freeway destroyed its grand descendants across Front Avenue and ramps off the Morrison Bridge, accompanied by surface parking lots, cut a wide swath through its neighbors to the south. Since the 1940s its historic significance has been obscured by a remodel that altered its east facade. This is about to change. The Hallock and McMillan building has faced down floods, fire and freeway. In December the Hallock and McMillan building was purchased by developer John Russell, with the goal of restoring it to its original appearance. With his company, Russell Development, John Russell is known for major projects in Portland, such as Pacwest Center and the renovation of the 200 Market Building, bestowed America's first LEED award for sustainability in the Existing Multi-Tenant category. 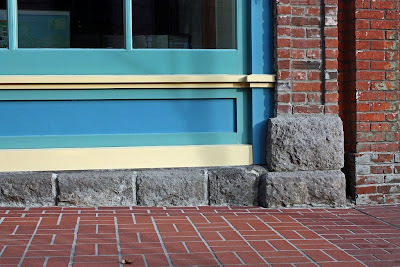 Less known is his work on a smaller scale; a decades long restoration of a quarter block bounded by Front (Naito Parkway), Oak and First. 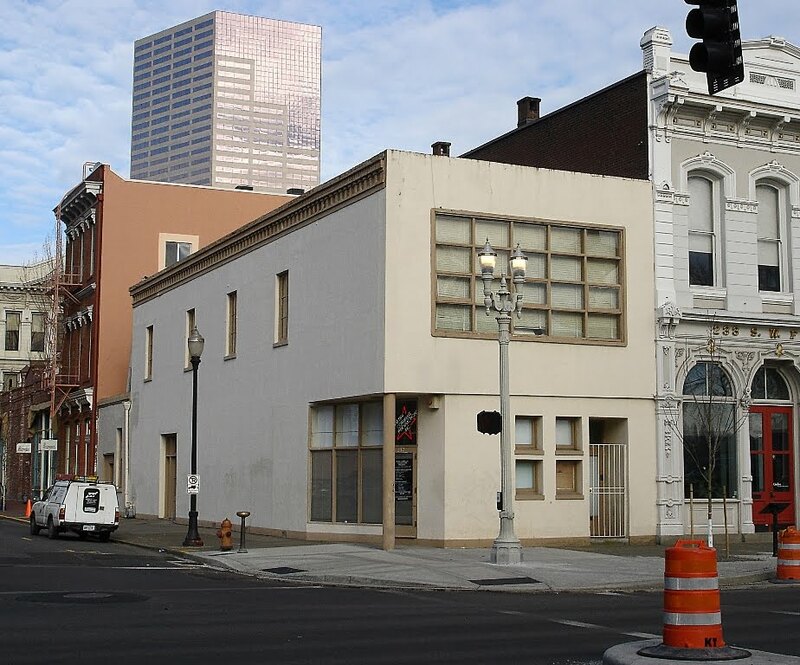 It can be seen as a template for the revival of the Skidmore / Old Town National Historic District, which, he states, could be made the best place in Portland to live and work. It is a sentiment born of direct personal experience. 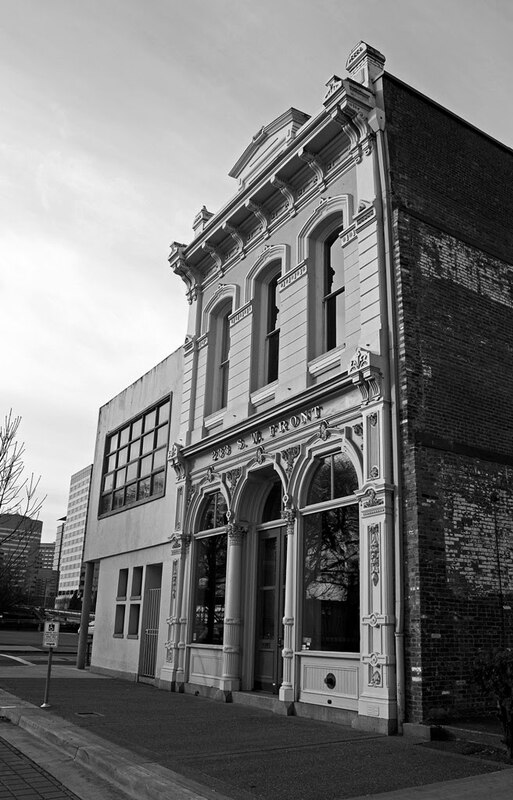 The Delschneider building on Oak street (1859) is Portland's second oldest commercial structure. Its third floor was added in 1876. 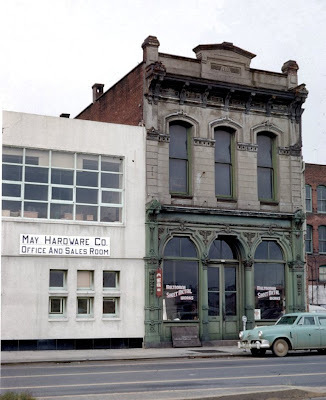 The Hallock and McMillan building neighbors it to the east. The Delschneider building was "an empty pigeon roost" when John Russell purchased it in 1974. Inspired by the brick-built historic Beacon Hill neighborhood in Boston, where he lived while in grad school, he renovated the building for mixed use by adding an apartment space on the third floor. Upon completion, he and his family moved in. His children still count it as their favorite residence while growing up. 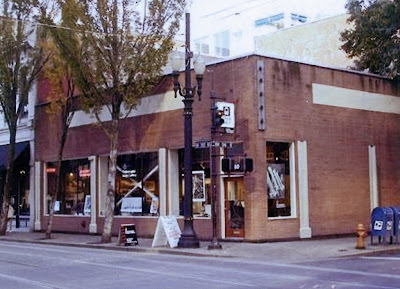 In 1980 he acquired the Fechheimer building (1885), an early preservation success in Portland that had been restored by Ralph Walstrom and Jeff Holbrook. At the same time he inquired into purchasing the Hallock and McMillan building, the start of what would play out to be a thirty year long series of conversations over dinner with its owner, Peter Corvallis. The Freimann Building (Oak street facing segment) neighbors the Delshneider building to the west. His next acquisition ushered a historic reconstruction that could have positive potential implications for redevelopment in Skidmore / Old Town, an area that has been blighted for decades by acres of surface parking lots. First and Oak, prior to 2004. -Portland Maps. 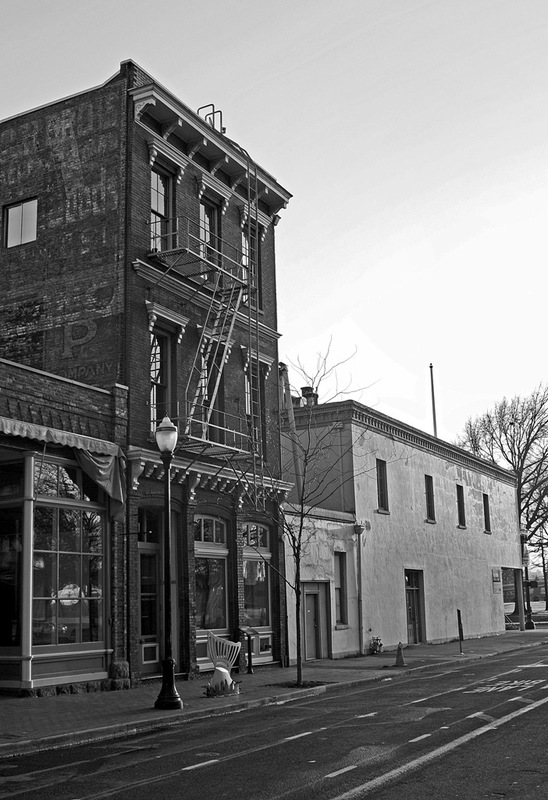 The run down building, on the corner of First and Oak was purchased, in two segments in 1999 and 2004, to arrest the decay of property that neighbored the Delschneider building. 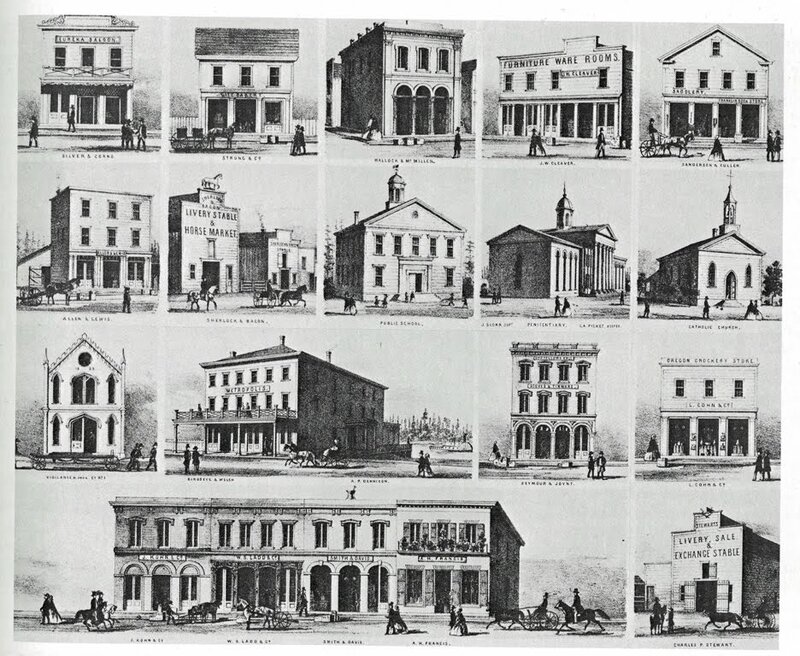 Shortly thereafter, Portland historian Donald R. Nelson found a 19th century illustration of the corner. It was realized that, beneath layers of Roman brick and stucco, was entombed remnants of a 1880s building. Using the picture as a guide, Russell decided to return it to its original appearance. In the course of restoration work, it became evident that little of the building's original material was in suitable condition to be reincorporated. 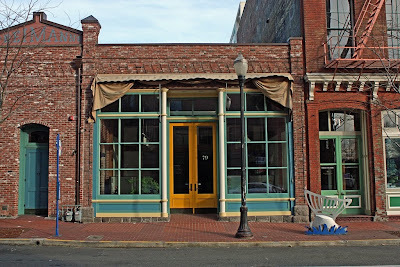 This meant the project would go forward without incentives such as Federal Rehabilitation Tax Credits from the National Park Service or the Oregon Special Assessment program from the State Historic Preservation Office, eligibility of which is set by rules drawn from a distinctly western view of preservation that places a high value on original fabric. An eastern view, born of the use of less permanent materials, might place less; where a temple built of wood or bamboo can be seen as five hundred years old, with most of its components dating back only a quarter century, yet suffer no loss of authenticity. Genuine upper-strata Rocky Butte basalt. New hand-made brick from South Carolina was used to duplicate the original. The damaged iron corner column, previously hidden, was removed, measured and reproduced. A lone surviving piece of stone work on the foundation level presented a singular problem. It came from the long defunct Rocky Butte quarry which provided rock for many local buildings such as the Hotel Portland. The basalt's light color placed it from the early years of the quarry's excavations; as depth increased the rock darkened. Incredibly, matching stone was found, available from the foundation of the Simon Benson house, made surplus after its move to Portland State University due to differences in site profile. 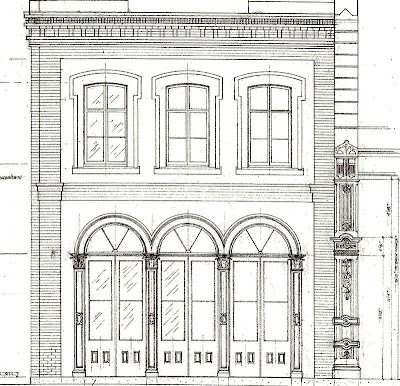 The building is a meticulous recreation of when Friemann's Restaurant and Cafe occupied the corner in 1889. It illustrates the potential of infill that is respectful to its surroundings, should the parking lots in the area be redeveloped. The Hallock and McMillan restoration. -Emerick Architects. 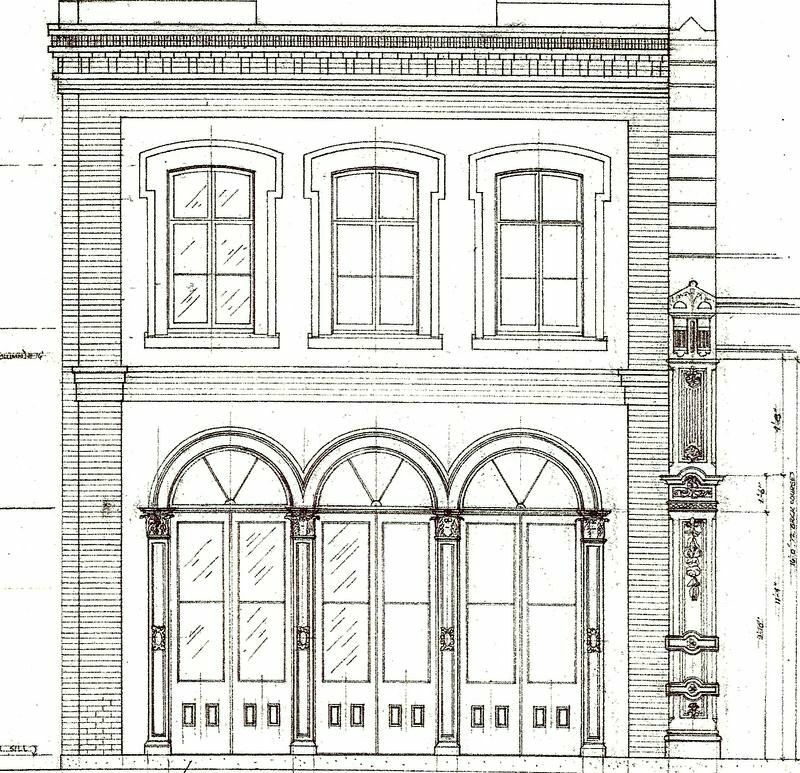 As in the case of his earlier earlier restorations, painstaking attention to historic detail is being applied to the Hallock and McMillan building. The assembled team for the project: Emerick Architects and Bremik Construction, in consultation with Jessica Engeman of Venerable Development and architect and historian Bill Hawkins, author of The Grand Era of Cast-Iron Architecture in Portland Oregon, have as their goal to returning it to its original nineteenth century appearance. Like prior restorations throughout Skidmore / Old Town, the missing cast-iron pieces will be fabricated in fiberglass or aluminum. Work on the project began immediately upon Russell assuming possession. The Feccheimer and Hallock & McMillan buildings. John Russell's quartet of buildings, two of which were built before Oregon was a state, provide a tangible link to Portland's early past. Their incredible survival, against all odds, is rivaled only by the amount of care and effort spent on their restoration. With his patient pursuit of authenticity, he has shown how Skidmore / Old Town's potential can be drawn upon to revive an area that can indeed be made the best place in Portland to live and work. It a long term vision that would be familiar to W.S. Ladd and Absalom Hallock. Sincere thanks to John Russell for sitting down with me. Peggy Moretti of the Historic Preservation League of Oregon and, as always, Bill Hawkins, a constant source of information and inspiration for this website. 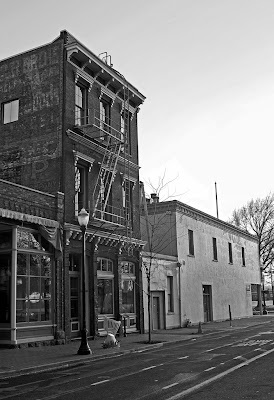 The Hallock & McMillan and Fechheimer buildings. October 31 1953. Marion Dean Ross photograph. University of Oregon Libraries, digital collections. 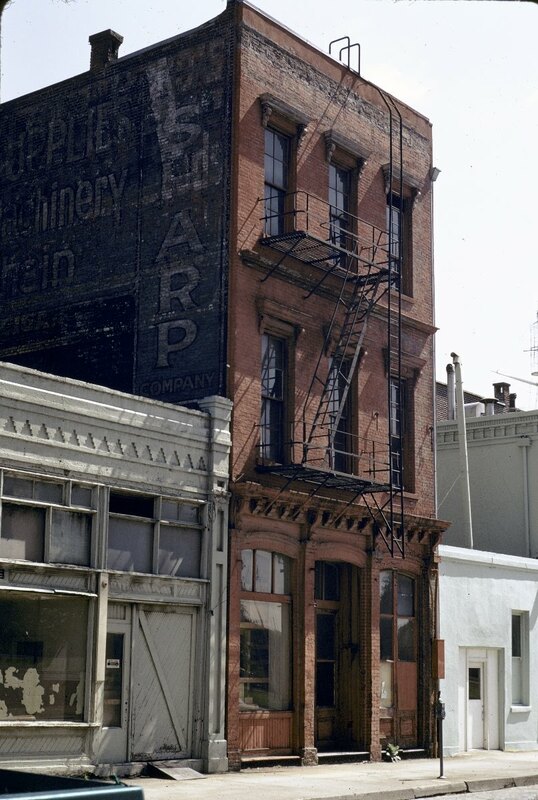 The Delschneider building, before the purchase and renovation by John Russell that restored to it the missing cornice. Also visible is the rear segment of the building on First and Oak (Freimann building) prior to its being stuccoed (the First Avenue facing segment was covered up in Roman brick). -Marion Dean Ross photograph. University of Oregon Libraries, digital collections. 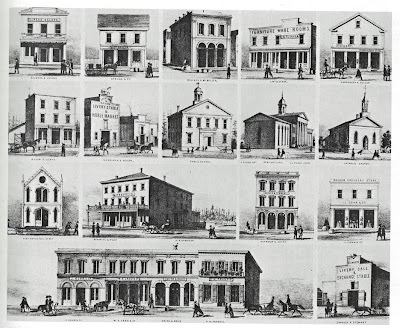 Portland's notable buildings, 1858, just five years after Absalom Hallock designed the first brick building in the city for W.S. Ladd. The Hallock & McMillan building is at the top, center. Thanks for this post, Dan! It's amazing that someone in the 30's thought it was a good idea to "modernize" such a building in such a garish way. Thankfully it will soon be brought back to its original splendour. Reminds me of looking at old streetscapes of "downtown" Montavilla and how some of the buildings have been modernized (i.e. sliding windows and artificial siding) in the intervening years. Great post...I can't wait to see the result...I pass this building regularly on the way to work and have been curious about the signs that it's going to be restored...so heartwarming! I would love to see that whole area of town treated similarly...seeing the old pictures of what once was breaks my heart. The emphasis I constantly see being put on "original" and "authentic" architecture is ridiculous, especially when what we are left with at this point is a city full of surface parking lots and bland mid-century corporate schlock. This is genuine good news. I did check the calendar to make sure it wasn't April 1. Very nice post. Thanks, Dan, for this wonderful post. I cannot wait until I get to go inside this building on the hard hat tour with the Architectural Heritage Center! These old buildings look great especially when you restore them. As they said, the old structures must give way to progress. In this case, basing on the findings of building inspectors melbourne, a remodeling was needed to enhance the appeal of the place. Nice! I love the way how they restore the place. Too much cleaning on every part of the building I think has been made. What a brilliant move for them to restore the place. Good for them to preserve this landmark. It's one of the oldest masterpieces of our late engineers and architects! How was it? This post is really great.The old city building construction is very strong and wonderful. keep coming writings like this.